Geek Grotto - Get Your Geek On! 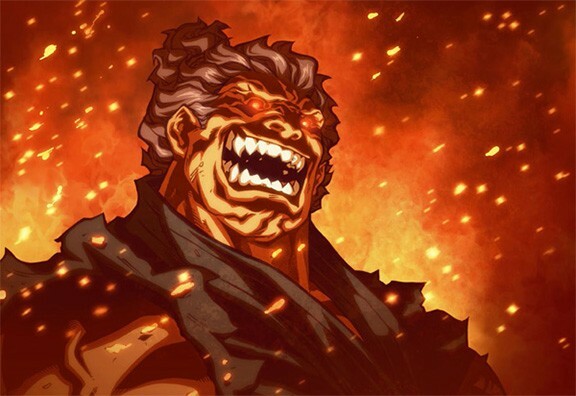 : UDON Releases Street Fighter Origins: AKUMA!!! UDON Releases Street Fighter Origins: AKUMA!!! 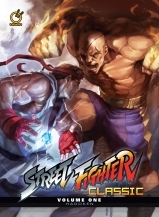 Udon is celebrating its 10th anniversary with its 150th published book, Street Fighter Origins: AKUMA! We picked up the hardcover variant at the San Diego Comic Con last July, and it's a work of freaking art! Granted, I am an Akuma fan! Street Fighter Origins: Akuma graphic novel released today! UDON’s 10th Anniversary of Street Fighter comics! 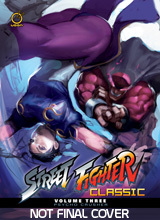 In August 2003, UDON Entertainment made its first foray into publishing with the release of Street Fighter #0. 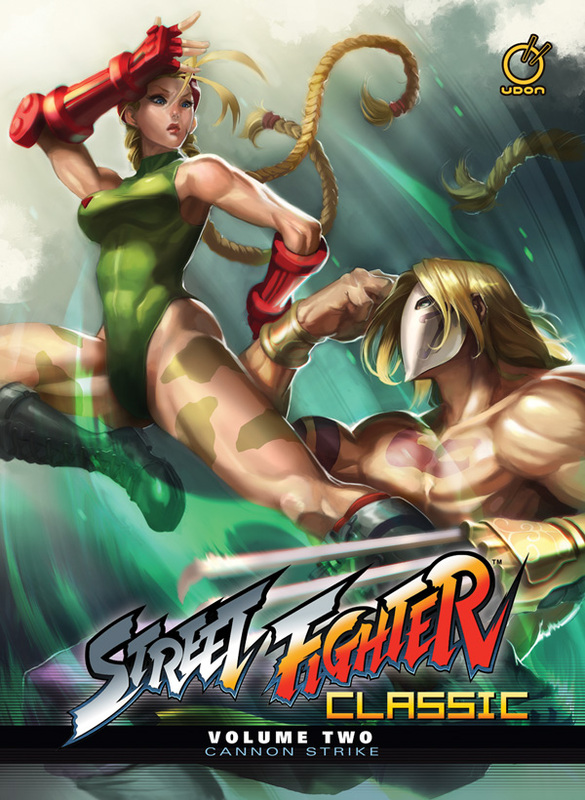 The realization of UDON founder Erik Ko’s desire to pay tribute to the video game series he loved, Street Fighter quickly became one of the bestselling comics in the industry and marked UDON as a company with a strong commitment to top-quality art and writing. That commitment now culminates in UDON’s newest release, its 150th published book, and the 10th Anniversary of UDON’s Street Fighter comics: STREET FIGHTER ORIGINS: AKUMA! Akuma! The world’s most feared martial artist, mentioned only in whispers. Few have dared to challenge him, and even fewer have survived to speak of the nightmare! Master of the Fist, wielder of the Dark Hado… but he was not always trapped on the path of chaos. 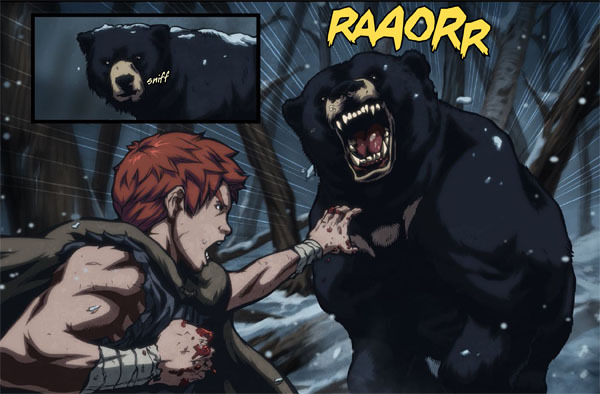 Featuring story by Chris Sarracini and art by Joe Ng, this original graphic novel mixes a surprising and intense coming-of-age story with the all-out action that Street Fighter fans love! Street Fighter Origins: Akuma reveals the secrets of this dark figure’s past for the first time, and shows how a frustrated young man grew into the mad demon! Check out a preview of the first chapter at ComicsAlliance.com! Over the last 10 years, UDON has worked closely with CAPCOM, the shepherds of the Street Fighter franchise, to bring to life the continuing adventures of Chun-Li, Ryu, Ken, and all of the World Warriors! Working with past publishing partners Image Comics, Devil’s Due, and then finally striking out on their own, UDON has chronicled these adventures through over 1000 pages of various Street Fighter comic series, and now has moved into a new phase of producing original hardcover graphic novels! 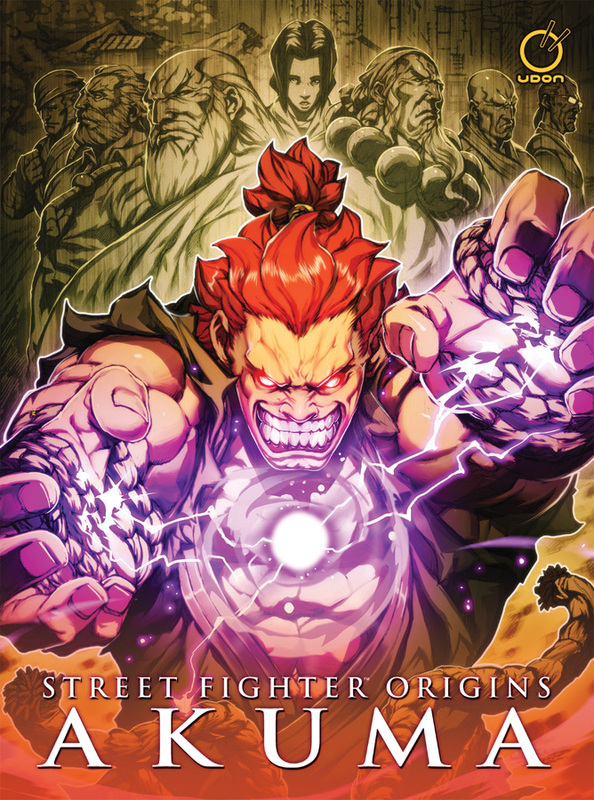 Following up on this spring’s all-new Super Street Fighter Volume 1: New Generation, today’s release of Street Fighter Origins: Akuma cements this new, oversized, hardcover format as the ultimate version of these new adventures! Street Fighter Origins: Akuma is a 128 page, hardcover original graphic novel retailing for $34.95. It is available in comic stores, book stores, and wherever comics are sold. To find a comic book store near you, visit http://www.comicshoplocator.com. In addition, Street Fighter Origins: Akuma is available digitally from ComiXology. Find it and other UDON releases at http://www.comixology.com/Udon/comics-publisher/48-0. 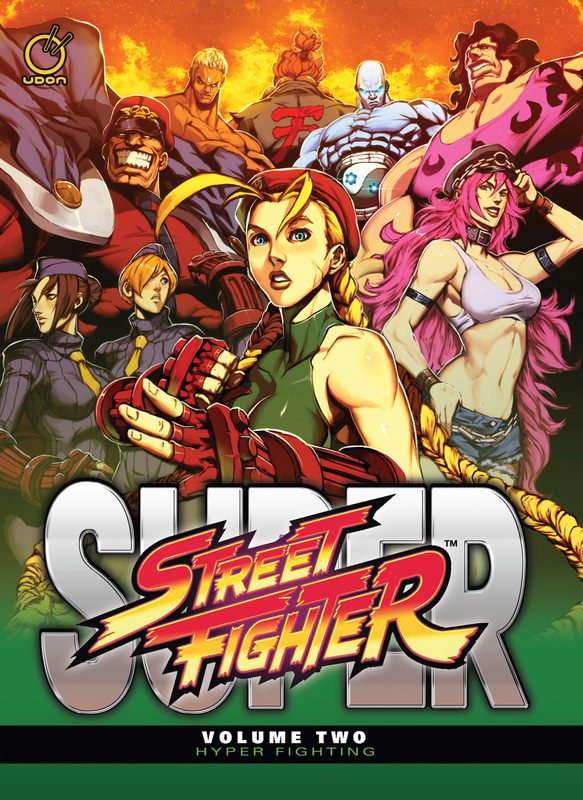 How do UDON's Street Fighter Comics and Graphic Novels compare to the classic video game series? Check out his timeline of all available books! Want to know the secrets of the World Warriors BEFORE the games even started? Check out these great stories! By Chris Sarracini and Joe Ng. Street Fighter became an international smash-success with Street Fighter II in arcades... but what led all of the World Warriors to enter the infamous tournament, held by Shadaloo?! By Ken Siu Chong, Arnold Tsang, Alvin Lee, Andrew Hou, and various. UDON's original Street Fighter comics in a gorgeous, oversized hardcover format! In Volume 1, Chun-li and Guile uncover the secrets of Shadaloo, while Ryu and Ken hunt down the murderous master of the fist - Akuma! 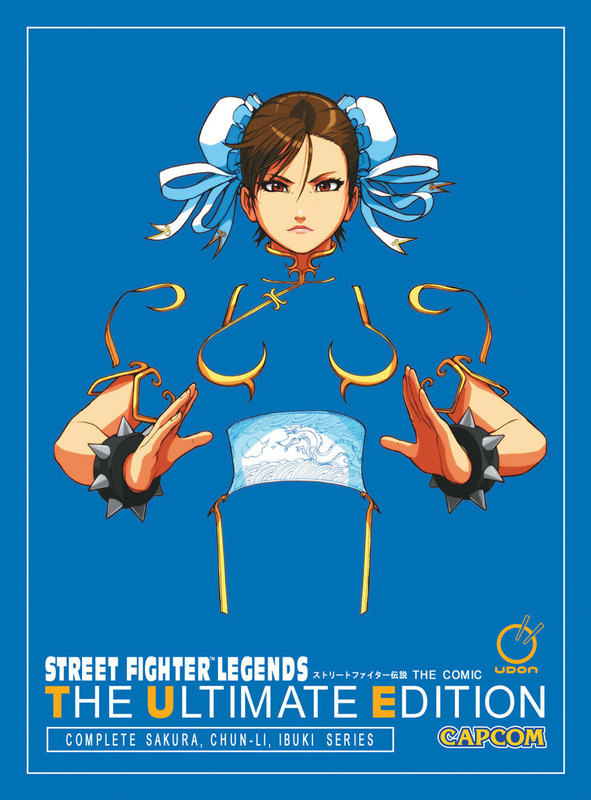 Collects the original Street Fighter #0-10 and more! By Ken Siu-Chong, Arnold Tsang, Alvin Lee, Andrew Hou, and various. It's finally here, the World Warrior tournament depicted in the most amazing and over-the-top way possible! By Ken Siu-Chong, Chamba, and various. The World Warrior Tournament is here! Ken, Chun-Li, Blanka, and all of the World Warriors face off against the murderous members of Shadaloo... but the real battle is between Ryu and Akuma...! Collects Street Fighter II Turbo #1-12 and bonus stories! Go beyond the video games as UDON tells stories that can only be told in the comics format! Street Fighter III's storyline, now with all of the fan-favourite Street Fighter IV characters retroactively inserted! By Ken Siu-Chong and Joe Ng! New challengers Abel, El Fuerte, Crimson Viper, Rufus and more cross fists with the World Warriors! In this special prelude to the Street Fighter IV video game, learn the origins of the new fighters, and witness the rebirth of a classic Street Fighter Villain! Takes place immediately following Street Fighter Classic Volume 3. Contains tons of rare, unreprinted Street Fighter comics! Street Fighter returns to comics in an all-new, original, hardcover graphic novel series! Set at the beginning of the Street Fighter III era, but featuring all of the new SFIV characters! Join Alex as he hunts for the mysterious cult-leader Gill, and follow the story of Sakura as she falls to the power of the dark hado! All-out excitement and pulse-pounding battles! Super Street Fighter Volume 1 starts the World Warriors on the path to their greatest challenges yet! Oversized Hardcover Format. 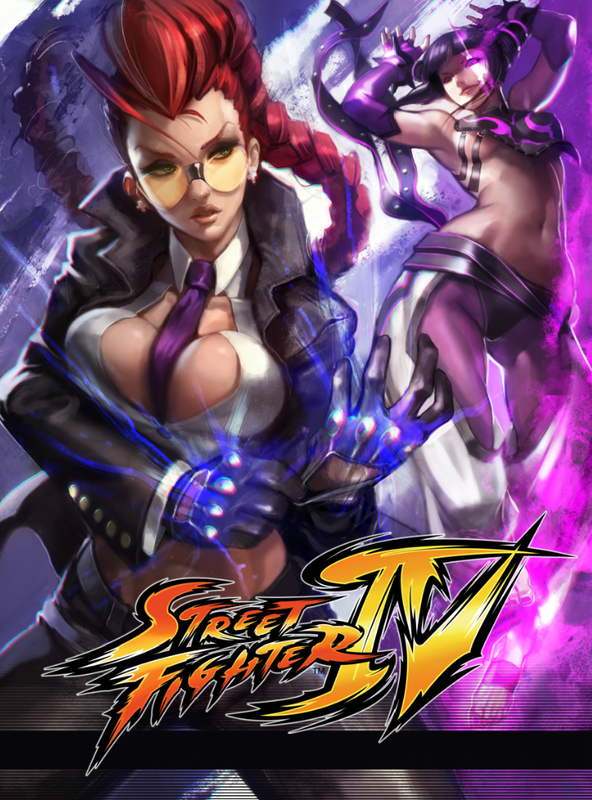 The Street Fighter III and IV era continues! Sakura's quest to avenge Ryu reaches horrible depths, as Alex and Guile bring the fight right to Gill's door! Oversized Hardcover Format. That's pretty much all of UDON's Street Fighter comics and graphic novels... but the story doesn't need to stop there! 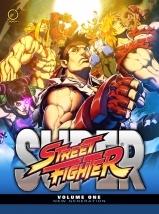 UDON has also published Japanese manga adaptations of the Street Fighter series in English, not to mention a half-dozen artbooks covering the Street Fighter series. And who knows what's to come for the World Warriors? Maybe some Ultra-big challenges are just around the corner?